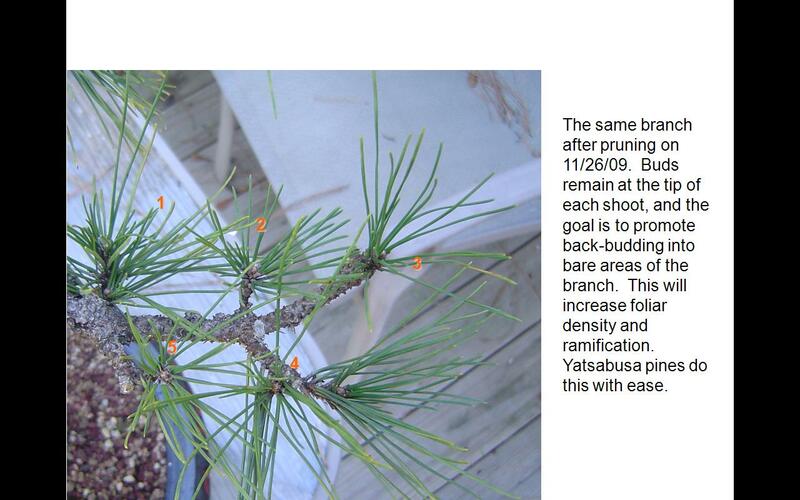 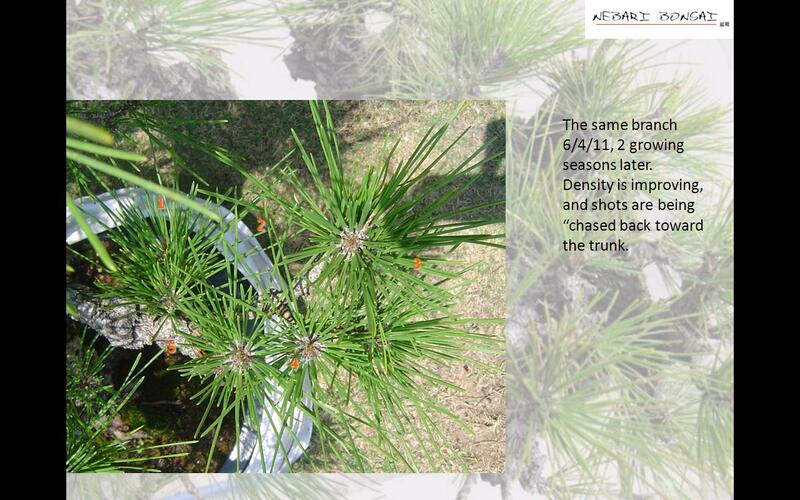 Here is a sequence developed over several years on a Corkbark Japanese Black Pine, Kyokko Yatsabusa. 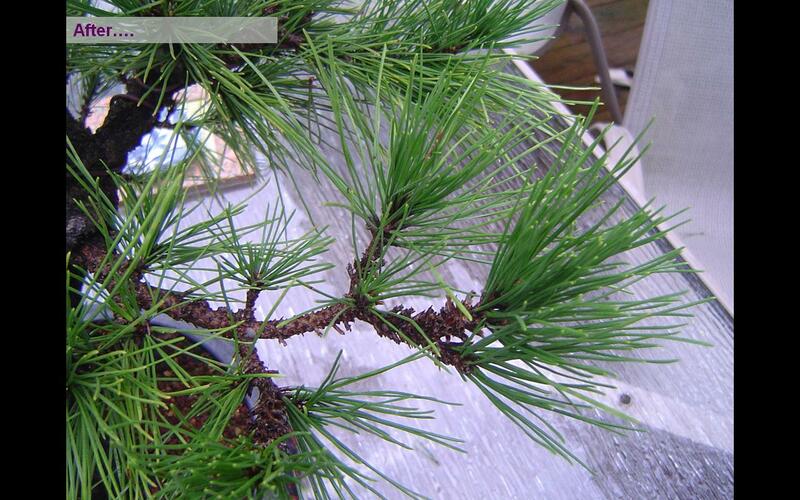 Needle-pulling is simple, yet misunderstood. 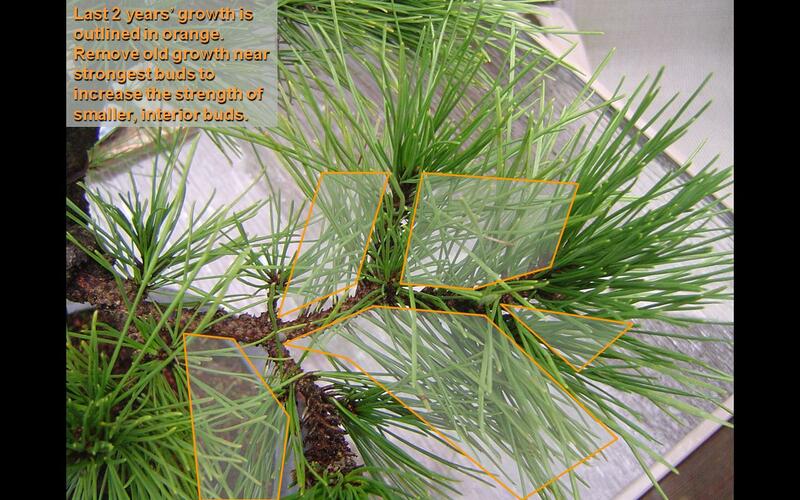 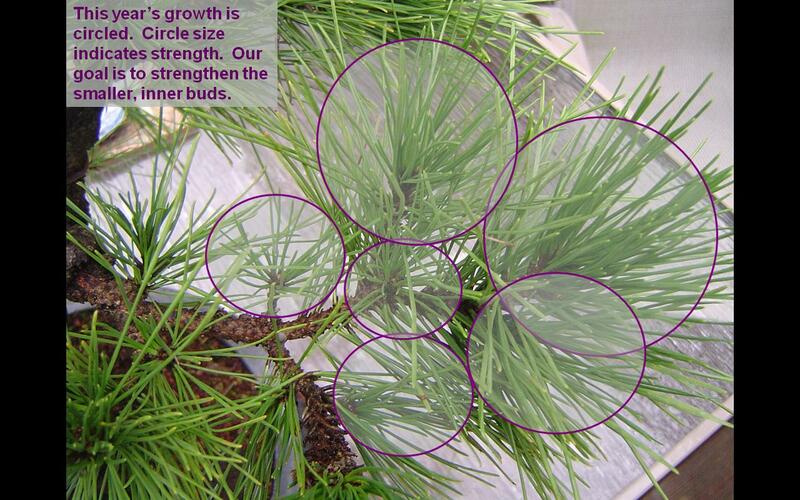 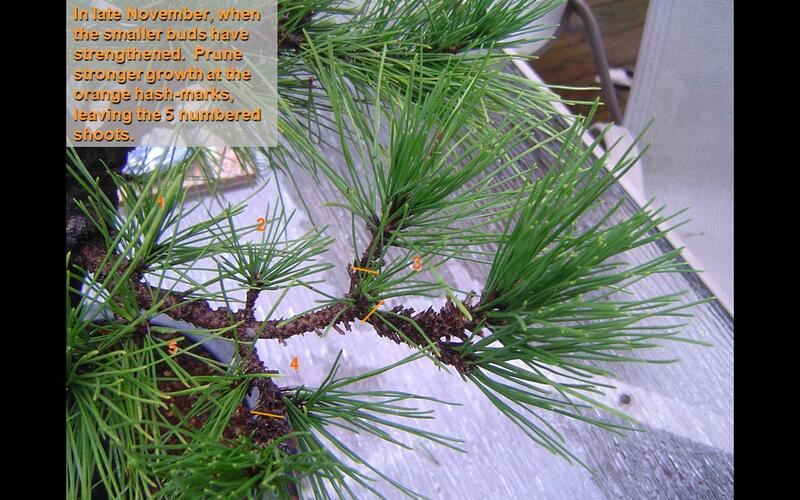 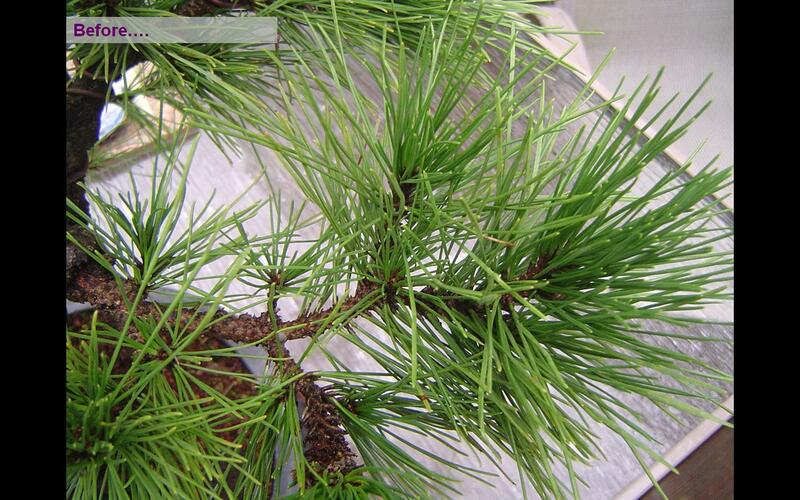 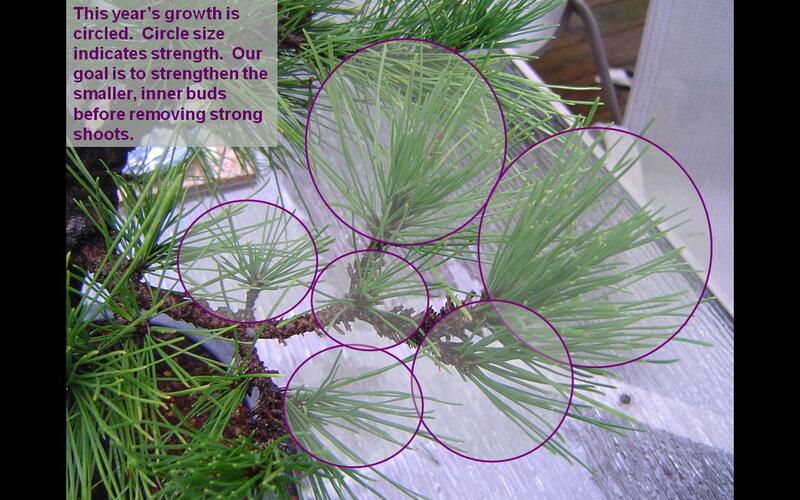 Removing old needles allows pines to develop buds closer to the trunk, allowing the bonsai artist to continually push growth back closer to the trunk, preventing pines from getting “leggy”.